Hi There my lovelies! Are you ready to usher in 2017? I know I am. How did you spend the last day of the year? I spent with hanging out with my sister. We watched the movie, Sing and today I will provide my prospective on the movie. 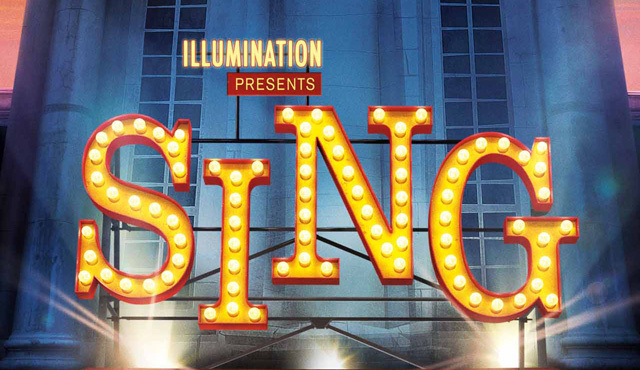 Story: Sing is directed by writer-director Garth Jennings. It’s an animated comedy from the producers of the Despicable Me films. 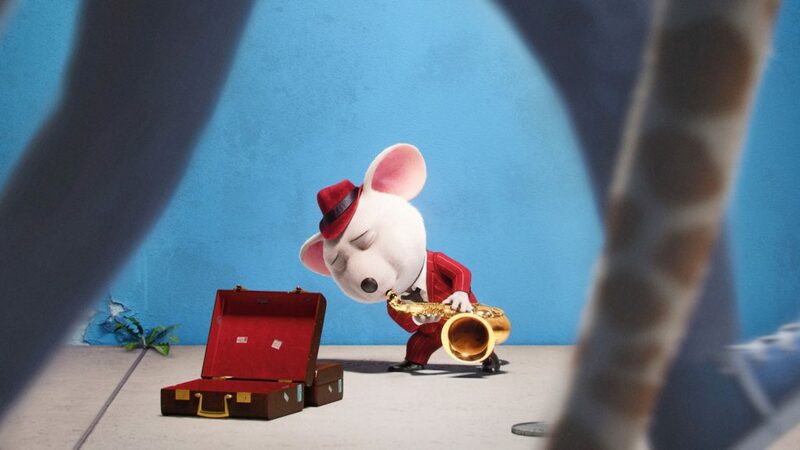 The movie is centered around a theater loving koala named Buster Moon (voiced by Matthew McConaughey), who decided to run a talent contest to boost sales for his failing theater company. Unfortunately for Buster, a printing error made by his faithful one-eyed lizard secretary Miss Crawl (voiced by Jennings himself) mistakenly reports the prize will be $100,000, not the $1,000 Buster has in his savings bank. The money certainly motivates Mike, a mouse (voiced by Seth MacFarlane) with jerky quality who’s always on the hustle. However, the money is only part of the lure for most of the other major characters, an assortment of mammalian hopefuls including: Rosita, a pig mama of 25 (Reese Witherspoon); Jonny, a teenage British gorilla (Taron Egerton) who does not want follow his father (Peter Serafinowicz) into the family’s bank-robbing business; Ash, a spiky punk porcupine; and finally Meena (Tori Kelly), the painfully shy elephant who is too scared to sing in front of others and ends up working as stagehand for Buster. 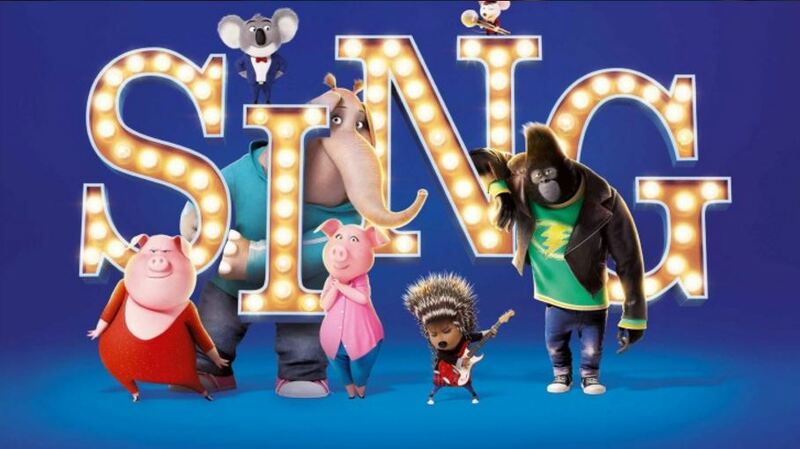 Verdict: Sing is very well animated. I would not expect anything less from the maker of Despicable Me. The movie starts out with Norma Noodleman (Jennifer Saunders), a sheep singing in her purple gown with purple theatrical background and silhouette. I loved the color and the brightness and the movies pieces of this movie. It’s a cheerful movie with a positive tone. It’s a feel good movie. What’s the best part of the movie are the amazing songs and music. Apparently, the cast all sang their songs themselves, with surprisingly impressive results. It’s simple, with catchy pop music and jokes that are likely to make kids laugh. It’s not a perfect movie. There are few things that I didn’t like about the movie. First of all, I didn’t like Rosita’s home life. She does so much for her family, her 25 piglets, and her burnt-out husband (Nick Offerman) barely notices her. He doesn’t even notices when she sets up a Rube-Goldberg contraption to keep her household working when she can’t secure a babysitter to participate in the contest. Similarly, poor Johnny wants his father’s approval. However, at the end Rosita get her husband’s attention with the most passionate kiss, and Johnny’s father breaks out of jail just to let him how proud he is of his son. 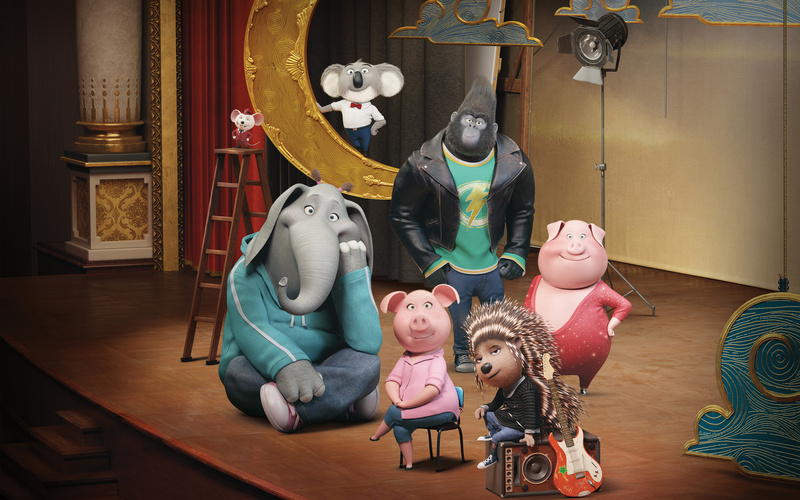 Overall, Sing is not quite at the same quality as most of the animated movies we’ve seen this year. However, it is a nice feel-good movie that kids can enjoy. It’s well-animated. It has a wonderful vocal cast, and music is what makes this movie worth the price of admission. It’s a enjoyable to watch and heart-warming and can your mind in a positive prospective. I wish you a wonderful and joyous New Year. Don’t forget to check out my Facebook Page and follow me on Instagram @allaboutme3181.